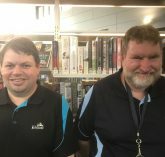 FORREST Personnel are celebrating the success of a state-wide initiative giving people with disabilities, health conditions and injuries work experience opportunities that are leading to ongoing paid work. WorkABILITY Day, held on 28th August 2018, is a Forrest Personnel initiative giving eligible jobseekers the opportunity to demonstrate their abilities by carrying out work experience for a day. Forrest Personnel provided extensive support to both the employer and the jobseeker throughout the course of the day. 15 Forrest Personnel offices and remote outreach services across the Gascoyne, Goldfields-Esperance, South West, Midlands-Wheatbelt and the Central Metro area participated in the event, which is now in its second year. Forrest Personnel chose to lead by example this year and offer work experience to jobseekers across their own organisation, at every office, and at every level. WorkABILITY Day gained strong support from industry and local government. Six local councils got on board with the initiative, including the City of Bunbury, City of Albany, City of Kwinana, Shire of Capel, Shire of Dardanup and Shire of Narrogin. 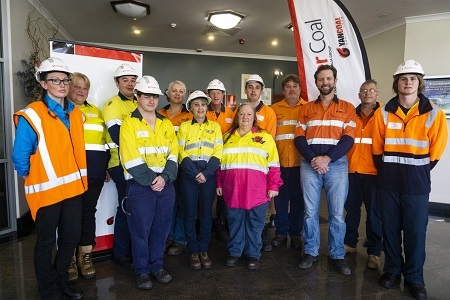 Large industry organisations like ATCO and Premier Coal also offered enthusiastic support, with Premier Coal offering work experience to ten jobseekers in Collie. WorkABILITY Day participants around WA filled a variety of positions, from graphic design, customer service, administration, parks and garden maintenance, to boilermaker-welder positions and vehicle repair and maintenance. Participating jobseekers made the most of these opportunities – and their success quickly showed, with some participants being offered ongoing employment the same week. “People who face adversity are problem solvers,” Forrest Personnel CEO Anna Bagshaw said.